The Center for Reproductive Rights, the Sexual Rights Initiative, the Association for Progressive Communications, the Association for Women's Rights in Development, the International Service for Human Rights, the Swedish Association for Sexuality Education and the World Young Women Christian Association welcome the major gains on women’s and girls’ rights and sexual and reproductive health and rights at the 38th session of the Human Rights Council. The resolution on the elimination of all forms of discrimination against women and girls (DAWG), led by Mexico and Colombia, focused on eliminating obstacles to women’s economic empowerment. The resolution is ground breaking in its framing of women’s economic rights as being restricted and violated by structural gender discrimination arising from patriarchal economic, social and political systems and by articulating State obligations to change these systems. The resolution also makes critical connections between economic empowerment and women’s and girls’ sexual and reproductive health rights, bodily autonomy, discrimination on the basis of pregnancy and marital status, and impunity for all forms of violence against women and girls including sexual harassment at work. The resolution also recognizes the work of women human rights defenders in the elimination of all forms of discrimination against women and girls. 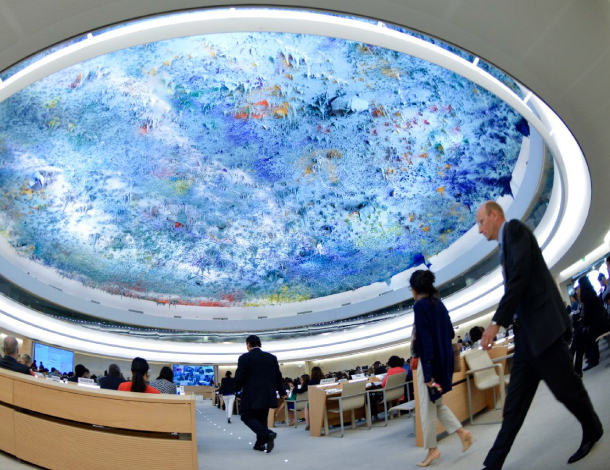 Recognizes for the first time ever in a Geneva or New York U.N. politically negotiated document the right to sexual and reproductive health, thus upholding the standard set forth by the U.N. Committee on Economic, Social and Cultural Rights General Comment N°22. Reaffirms that equal relationships in matters of sexual relations and reproduction, including full respect for the dignity, integrity and bodily autonomy of the person, require mutual respect, consent and shared responsibility for sexual behaviour and its consequences. The resolution also urges States to respect, protect and fulfil the right of every woman to have full control over and decide freely and responsibly on all matters relating to their sexuality and sexual and reproductive health, free from discrimination, coercion and violence, including through the removal of legal barriers and the development and enforcement of policies, good practices and legal frameworks that respect bodily autonomy. This is the first time ever that an explicit reference to bodily autonomy is included in any U.N. resolution and as such signifies a major step forward towards the recognition by a political body of the right to bodily autonomy. Urges States to support gender equality and women’s and girls’ rights through, inter alia, ensuring universal access to evidence-based comprehensive sexuality education. This is the first time in a DAWG resolution that universal access to comprehensive sexuality education is referenced without a qualifier as to age or cultural sensitivity. Urges States to guarantee universal access to sexual and reproductive health, services, evidence-based information and education, including safe abortion in accordance with international human rights law and when not against national law. This formulation represents the most progressive language on abortion since the Beijing Platform of Action of 1995. Beyond these major gains pertaining to SRHR, the resolution highlights that discrimination against women and girls persists in all cultures, with different levels of intensity and differing impact, emphasizing the impact on women and girls with disabilities and on those who are marginalized or in a vulnerable situation and who face multiple and intersecting forms of discrimination. The resolution builds on the work of the Special Rapporteur on Cultural Rights, expressing regret over the instrumentalization of tradition or cultural or religious interpretations contrary to the international obligation to eliminate all forms of discrimination against women and girls used to keep women and girls from taking an equal place in society and families or from exercising full control over their bodies and their personhood. The resolution on the Elimination of Female Genital Mutilation (FGM), led by Burkina Faso and Togo on behalf of the Group of African States, also represents a significant advance from previous resolutions on the same theme and for women’s and girls’ rights as it specifically recognizes for the first time ever that FGM is a harmful practice that violates, abuses and undermines the human rights of women and girls. The resolution also urges States to strengthen accountability frameworks and access to justice for the effective implementation and enforcement of laws aimed at preventing and eliminating all forms of FGM. The resolution also recognizes that FGM and all other harmful practices are mainly motivated by gender inequality and patriarchal social norms that undermine the recognition, enjoyment and exercise of the human rights and fundamental freedoms of women and girls, and that harmful practices constitute a human rights violation and a form of violence against women and children. In line with international human rights standards, the resolution also critically recognizes that FGM constitutes torture or ill-treatment and should be prohibited and that the trend towards the medicalization of female genital mutilation does not make it acceptable and urges States to condemn medical acts related to FGM performed within or outside of medical institutions. The resolution on accelerating efforts to eliminate violence against women and girls (VAWG), led by Canada, focuses on violence against women and girls in digital contexts and recognizes the potential of information and communication technologies (ICTs) to advance women’s rights and empowerment. The resolution stresses that violence against women and girls, online and offline is a global phenomenon rooted in historical and structural inequalities in power relations. It also recognizes the multiple, systemic and intersecting forms of discrimination and the compounded impact of structural and institutional discrimination on women and girls. Women and girls access to information online and ICT technologies was recognized as critical to enable them to make informed and autonomous decisions in matters regarding their own bodies, lives and health, including their sexual and reproductive health and reproductive rights. The resolution also calls upon states to implement comprehensive sexuality education as an important strategy to modify the social and cultural patterns of conduct of men and women of all ages, to eliminate prejudices and to promote and build decision-making, communication and risk reduction skills for the development of respectful relationships based on gender equality and human rights. Although they have been reaffirmed as key human rights by United Nations Treaty Monitoring Bodies (TMBs), by United Nations Special Rapporteurs (UNSRs), by several Human Rights Council (HRC) resolutions and by the Maputo Protocol and are reflected in most national laws and policies, some States at the Human Rights Council continue to contest the sexual and reproductive health and rights of women, girls and adolescents. The major gains achieved through the leadership of the core groups driving these resolutions at this session have been won amidst a global backlash against the human rights of women and girls and against their sexual and reproductive health and rights. Indeed, States such as Egypt, the Russian Federation and the Kingdom of Saudi Arabia put forward amendments to delete mentions to comprehensive sexuality education (CSE) and to the right to bodily autonomy in the resolutions on DAWG and VAWG, and to also delete the terms ‘intimate partner violence’ (IPV), ‘discrimination on the basis of gender’ and ‘sexual and reproductive health and rights’ in the DAWG resolution. The fact that these amendments were either withdrawn after negotiations and revision by core groups or defeated when put to a vote should not minimize the current strategy set forth by some Council Member States and anti-rights actors to consistently weaken language on women and girls’ rights and sexual and reproductive health and rights, thus denying them from the protection they are entitled to under international human rights law. This strategy not only targets resolutions at the Human Rights Council but also the mechanisms of the Council such as the Special Procedures. Member States such as Egypt publicly challenging the mandate of the Working Group on Discrimination Against Women in Law and in Practice (WGDAW) during the adoption of the DAWG resolution, undermines the independence of U.N. experts and their ability to fulfill their mandate as established by the Council. 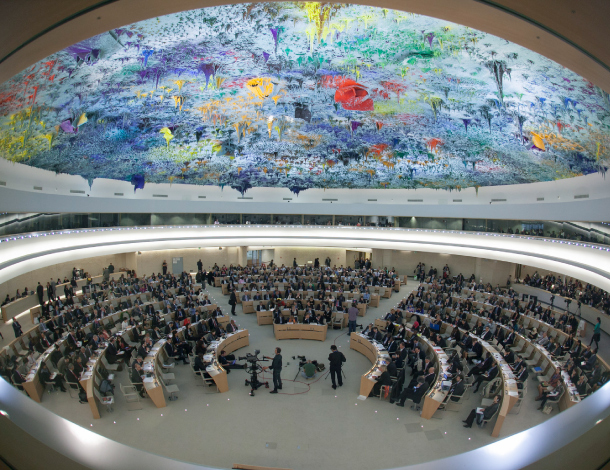 We would therefore like to echo the recommendation made by the WGDAW in their last report to the HRC: today, the human rights community needs more than ever to unite forces to preserve the democratic space and to promote an enabling environment for the respect, protection and fulfillment of the human rights of women and girls. The fight against all forms of discrimination against women and girls must continue until women and girls everywhere obtain full equality in public, political, economic, social, family, cultural and religious life and in health.